This Golden Deer Classics compilation contains over 500 classic fairy tales. As advertised: these are not the stories you grew up with. Or, to be more honest, they ARE the stories you grew up with but in their original, gritty format. You'll recognize some of them. At least I did. I've enjoyed this book, although, I must admit I've barely scratched the surface. Let me say: I've enjoyed this book so far. I don't expect to be disappointed the rest of the way. This is not the glitz and glitter fairy godmother. This is the one who can help others but who can't seem to get things going for herself. Characters die in these stories. They have to or the point of the story is lost. There are happily-ever-afters but they often come at a price. In short, these stories are glimpses of real life, as seen through the eyes of fairy tale characters of dubious distinction. 5.0 out of 5 starsNot the Disney Version! AfterThought: Definitely a five star read! These are not the fairy tales that American children grew up hearing. They seem to be written by Russian or Slovic authors. Many of the stories seem to be the same basic themes with different names and places. 4.0 out of 5 starsSo good! I am really enjoying this collection. New fairy tales I have never heard of but that's why new cultures are great! Stories are really good. One quick story a night. 5.0 out of 5 starsNew fairy tales--I mean old ones you never read! You will not have read these fairy tales! 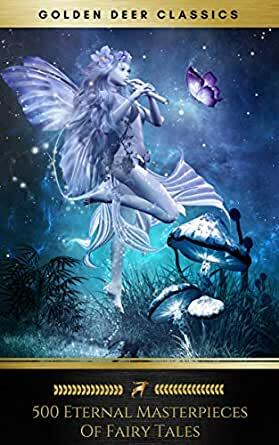 Well worth your time if you like short fantasy or if you would like a new perspective on fairy tales.